From trackside camping to 5-star hotels in the centre of Budapest, we’ve chosen the best places to stay for the 2019 Hungarian Grand Prix on August 2-4. All images © f1destinations.com. The Editor attended the 2018 Hungarian Grand Prix and stayed in the Budapest Marriott Hotel. 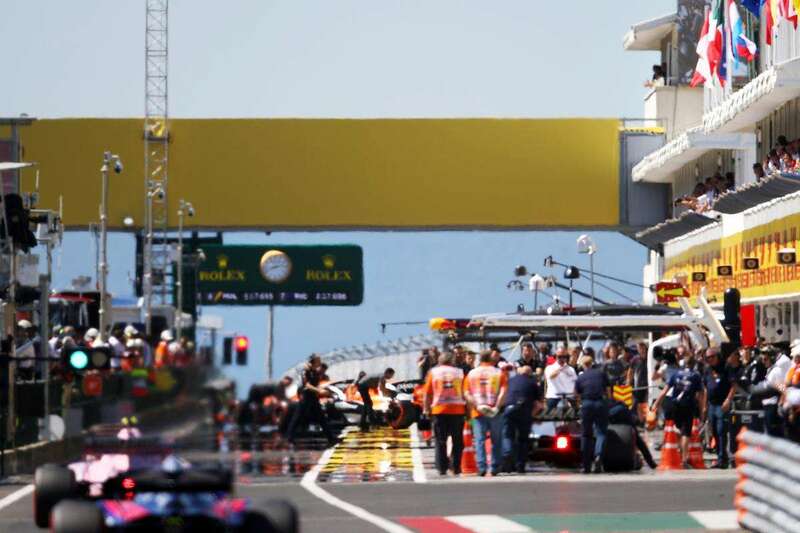 Support the future development of F1Destinations by reserving your accommodation through the Booking.com links on this page. You won’t pay more and we receive a small commission. We also recommend adding accommodation to your Official Ticket Package from F1 Experiences. Budapest offers accommodation to suit all budgets and the city offers exceptional value for a European capital city, even on Grand Prix weekend. 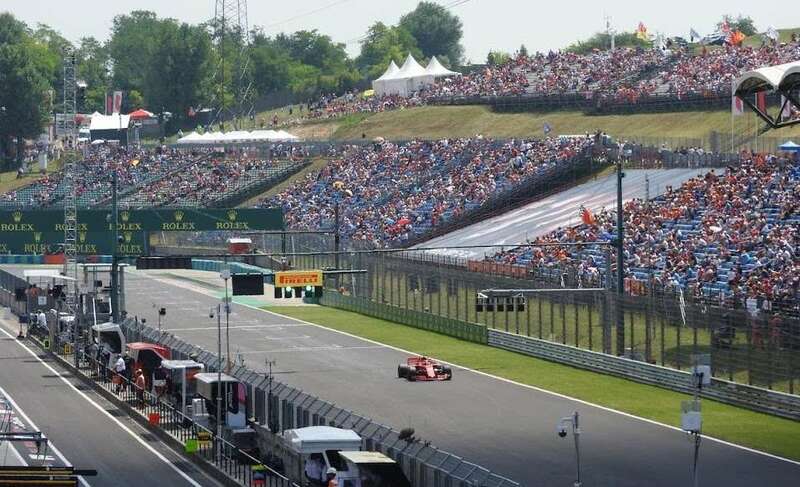 The Hungaroring circuit is located around 12 miles (20km) northwest of the city center. 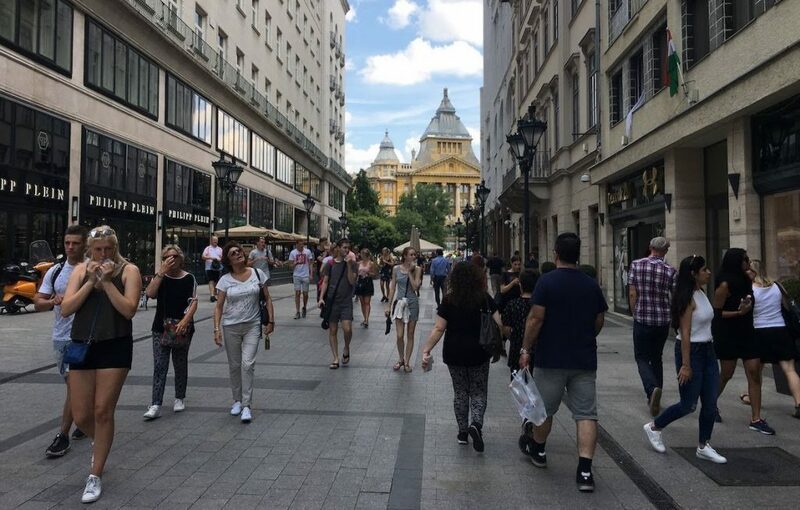 Camping at the circuit is a popular option, but we prefer to stay in the center of Budapest and soak up everything this grand European city has to offer. 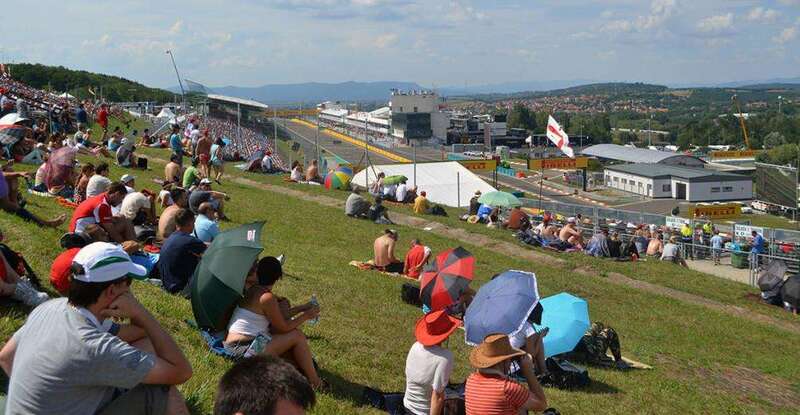 Fans from all over Europe make the annual pilgrimage to the Hungaroring, and many of them choose to camp next to the circuit. The atmosphere is excellent, though it can get a bit rowdy and drunken at times. If you have small children or know that you need a good night’s sleep, you would be better off choosing alternative accommodation in Budapest. Our pick of the camping at Hungaroring is Zengo, the only permanent campsite next to the track. Camping prices are dependent on how many nights you want to stay for and how many people will be staying at your camping lot, but expect to pay around €20-30 per person, per night. You can purchase camping access via Hungaroinfo or GPTicketshop. 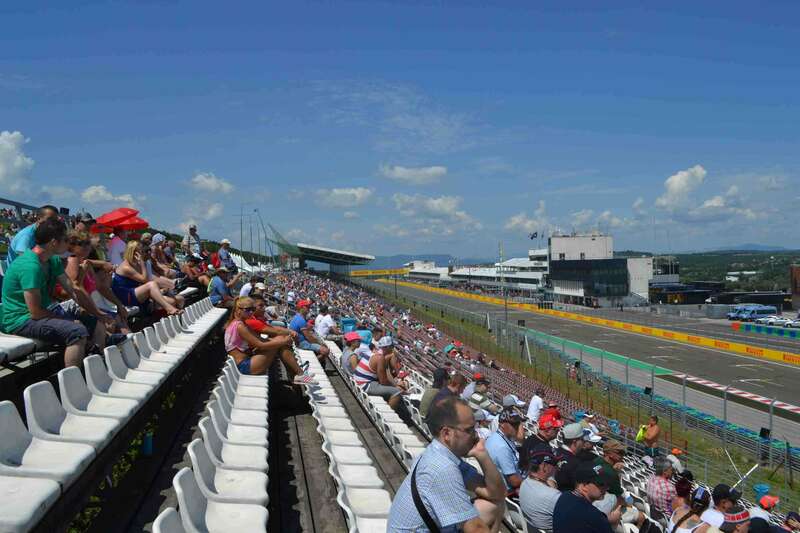 Official Ticket Packages from F1 Experiences offer select grandstand seats and access to VIP hospitality in the Champions Club at the 2019 Hungarian Grand Prix. You can also add a four-night stay in central Budapest to your package, including daily transfers to and from the Hungaroring. Hostels: there are plenty of well-rated hostels in the center of the city, most of which are close to the metro and offer decent access to the circuit. Dorm beds generally cost around €15-20 per night. Apartments: worth considering, particularly for a family or group of friends who are keen to keep costs down. Most apartments range in price from €80-120 per night for a studio or one-bed apartment suitable for two adults, up to €150-200 per night for larger two-bed apartments which will sleep 4-6 adults. Hotels: Budapest has a decent selection of hotels at prices a fraction of what you would pay in Western Europe. Even on Grand Prix weekend, the prices for visiting F1 fans are still competitive. Not too many F1 destinations offer such great value. Quiet neighborhood close to the city center and Metro, right next to the Danube. Clean, non-smoking rooms with free WIFI. 24 hour reception, common kitchens on each floor. Dorm bed for €20 per night. A large, modern hostel with a funky design and central location. Aircon, modern shared kitchens and comfortable common spaces. Next to the Déli pályaudvar metro station on the Buda side, close to the castle district and chain bridge. Free WIFI and air conditioning in all rooms. Next to Kalvin ter metro, an excellent central location close to many bars and restaurants. Decent sized rooms with air conditioning, satellite TV and free WIFI. Standard double room from €100 per night. Famous landmark hotels, located within reach of many of the city’s best sights. Superior double/twin from €235 per night. Modern five-star luxury in downtown Budapest. Large well-appointed rooms with nice views of the park, city or Fashion street. Superior double €250 per night. Where do you recommend staying for the Hungarian Grand Prix? Leave a comment! looking for a two bedroom apartment (mid range) for 2017 Hungarian grand prix . Any suggestions ? Hi, the camping tickets are not yet on sale for 2018 Hungarian GP. You will be able to buy them here. I guess they will go on sale in the next 1-3 months. Hi Andrew, We are driving across to the Hungarian Grand Prix this year in our motor home and have booked the Panorama Camp site? Any comments??? Sorry, I don’t have much experience with camping at Hungaroring, but I’m sure you’ll have a great time!